These presentation slides 40246 are complete compatible with Google Slides. Simple download PPTX and open the template in Google Slides. 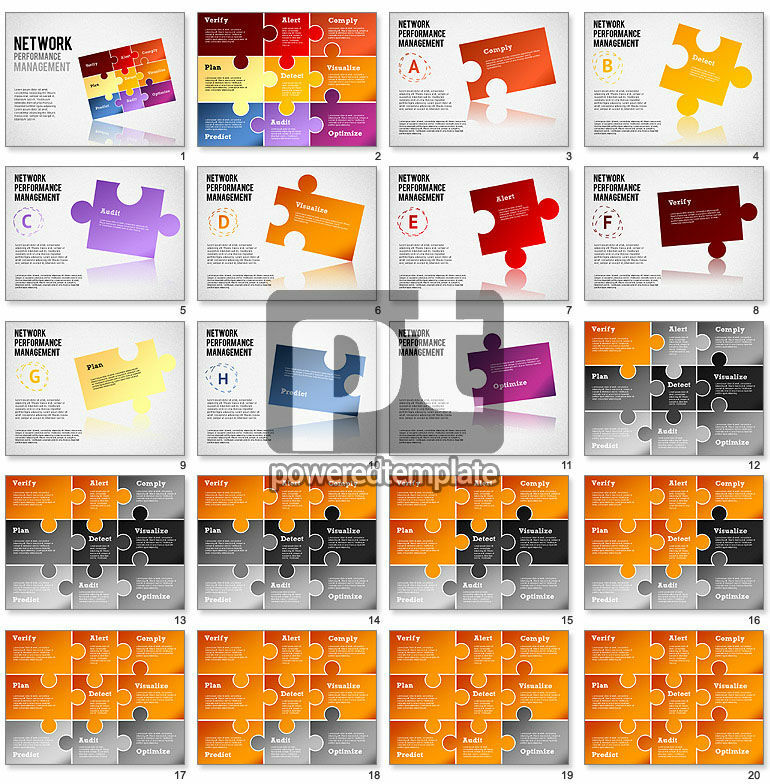 The design of this cool Network Performance Management template attracts from the first moment due to its creativity and simplicity at the same time as there are various colorful puzzle details which together make different figures. It has areas for text and is very convenient to use. This theme looks rather attractive and nice. We suggest using it for presentations on networking and planning.